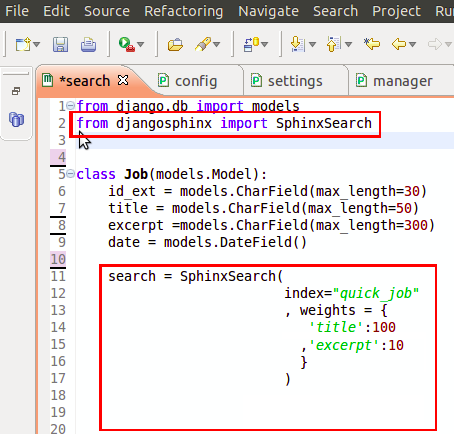 The purpose of this tutorial is to integrate Django-Sphinx inside your Django application to make use of the powerful Sphinx search engine. 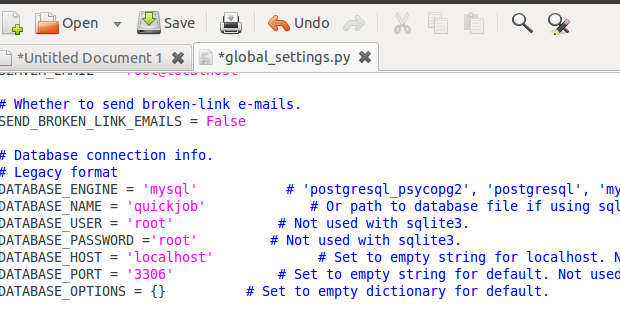 The Command Console is already opened! 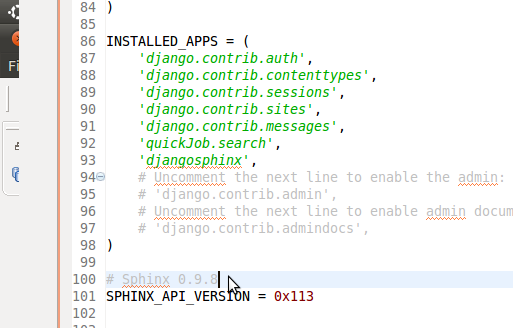 Browse to the folder where Django-Sphinx was installed. If you followed the previous steps it will be installed in your home folder. 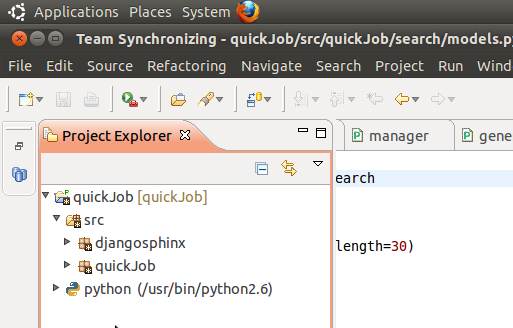 Congratulations, Your Sphinx search engine is ready to accept queries. 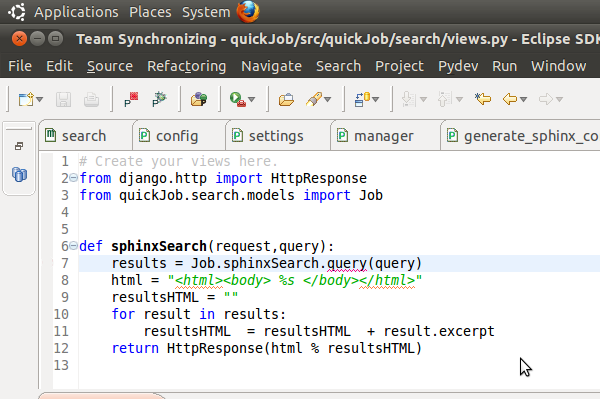 Now you can enjoy searching with Sphinx. 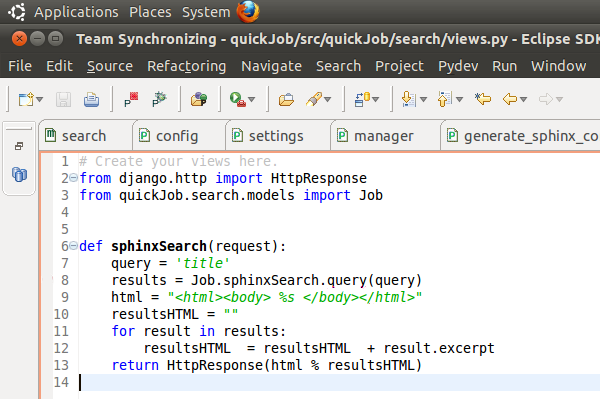 Below is a simple example of for a view that performs search. for the sake of illustration, I consolidated the template inside the view. 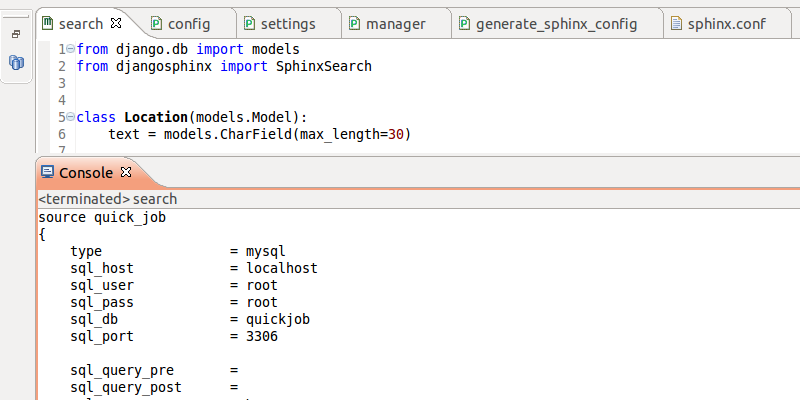 This is not the end, there are still many powerful features in Sphinx and Django-Sphinx that you need to know more about.